Add a new dimension to your decorative fountain with the LED Fountain Accent Light. This compact, round-shaped fitting retrofits almost all fountains. The unit allows water to pass through the center of the light making for a stunning display. If you currently own an decorative fountain that came with a plastic waterspout, this new light is completely interchangeable and can be swapped out in a few minutes. 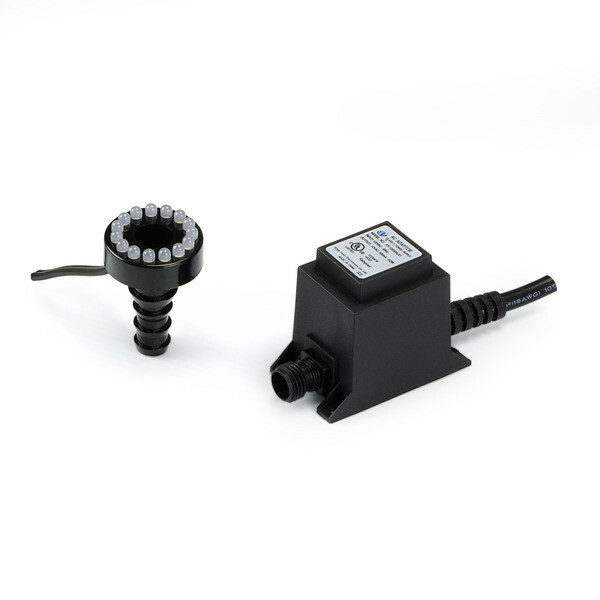 For customers currently using lighting, the LED Fountain Accent Light is also available without transformer to retrofit within your current 12 volt quick connect lighting system.